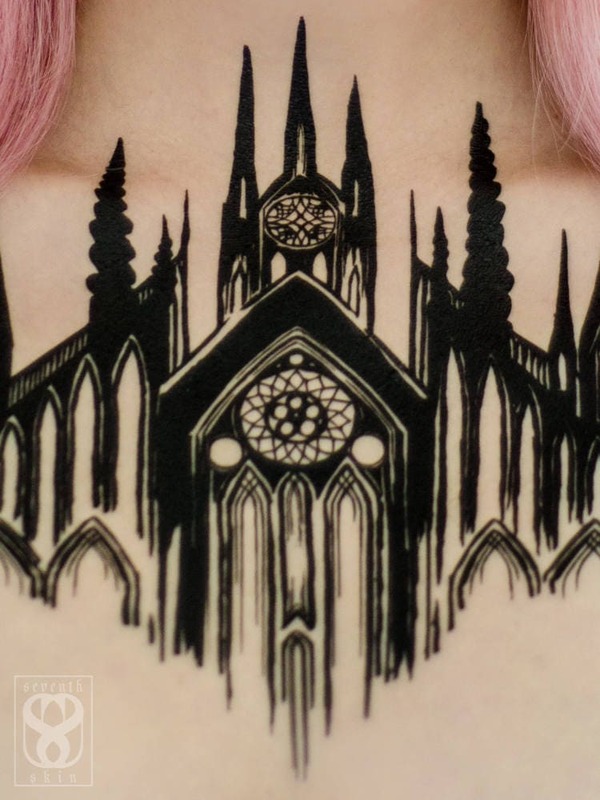 This is the second Cathedral piece added to the Seventh Skin repertoire. It's a little darker, a little tougher, and a bit more magical. 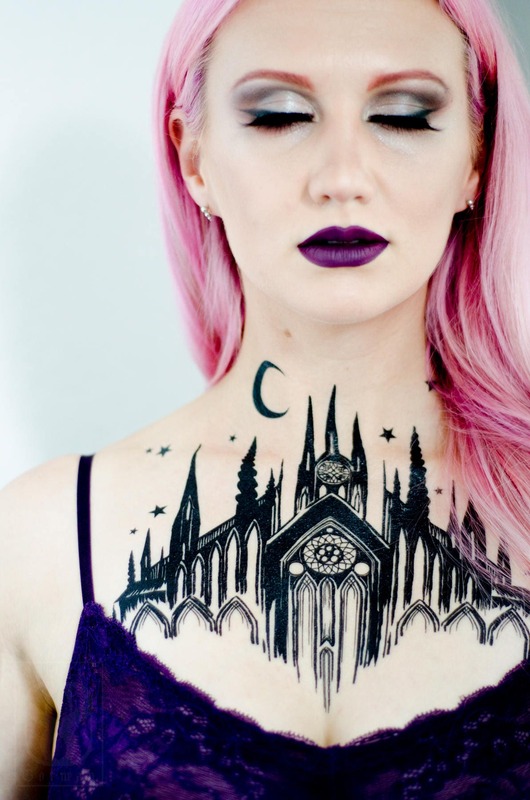 (It is pictured embellished with the Spray of Stars and Black Crescent tattoos.) 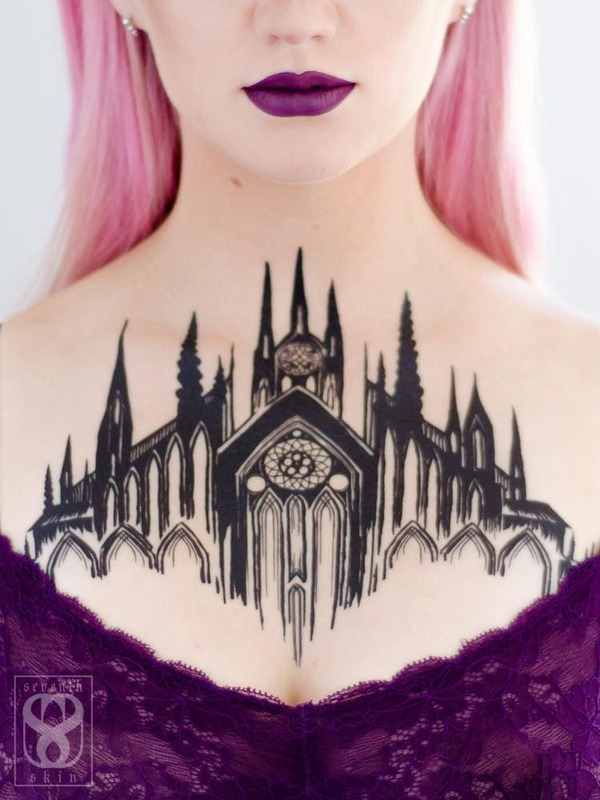 Designed to flatter as a chest piece, it would also look wonderful on a ribcage, back, or arm. Approximately 10.5" wide and 8" high.